2018 FISU World University Karate Championships. Final Male Kumite -67 kg. 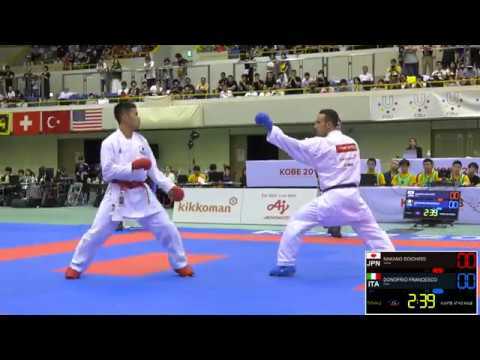 Francesco Donofrio of Italy vs Soichiro Nakano of Japan. Official World Karate Federation YouTube channel for the distribution and also program of Karate Championships.